Published December 31, 2017 at 750 × 653 in Happy New Year–Baja to the Mainland. The day after Greg and Jenn made the long long trip down from Boise, we recovered with them by the pool at the Barra Navidad Marina resort. 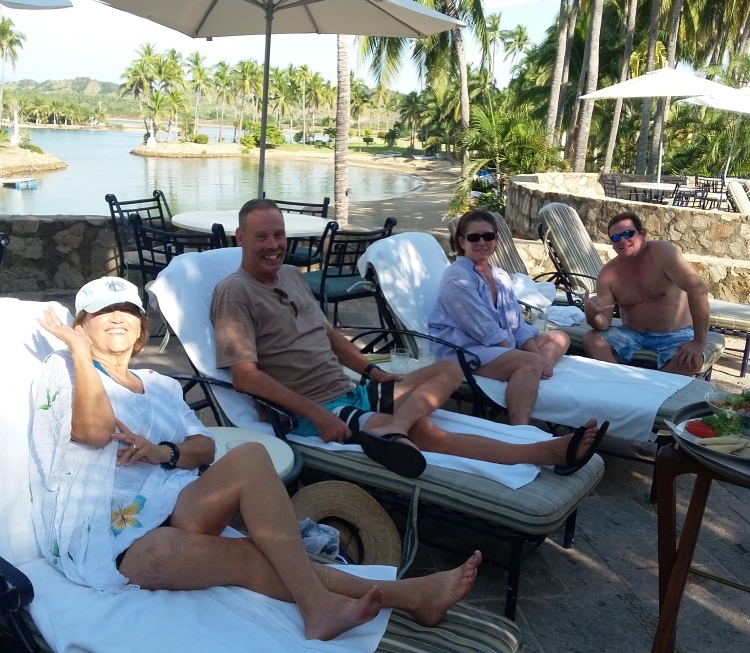 Good to see all 4 of you relaxing!! Hi, Greg & Jenn! !